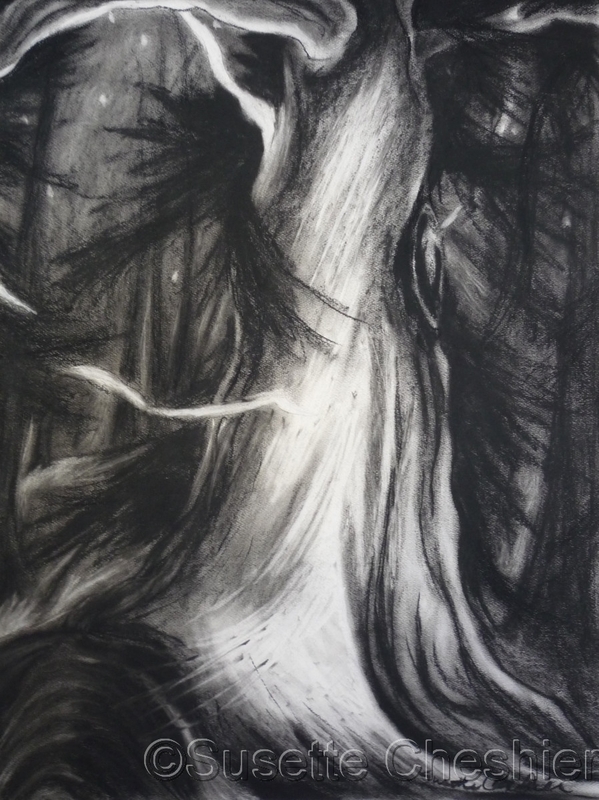 Charcoal drawing of a large tree and stars. Dark black, gray and white depict a forest at night. 9.25" x 7"12" x 9"14.75" x 11"17.25" x 13"20.25" x 15"